An arts and education centre in Leicester that faced closure has received financial support to secure its future. 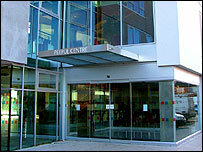 Last summer the city council said the Peepul Centre, which opened in October 2005, was facing financial uncertainty. Now a rescue plan has been drawn up with support from Leicester Housing Association and a regeneration group. City leaders in Leicester had called for "a robust business plan" to ensure the survival of a key community venue. The centre, in the Belgrave area, offers a range of performance spaces, workshops and events plus a restaurant and bars. There are plans to complete an aqua spa, extend health and holistic therapies and equip a recording studio. Karen Chouhan, Chair of the Peepul Centre, said: "This is excellent news for us and for the people of Leicester. "Knowing that our financial position is secure will allow us to move forward with confidence and make the Peepul Centre all that we hoped for when it was first conceived fifteen years ago."